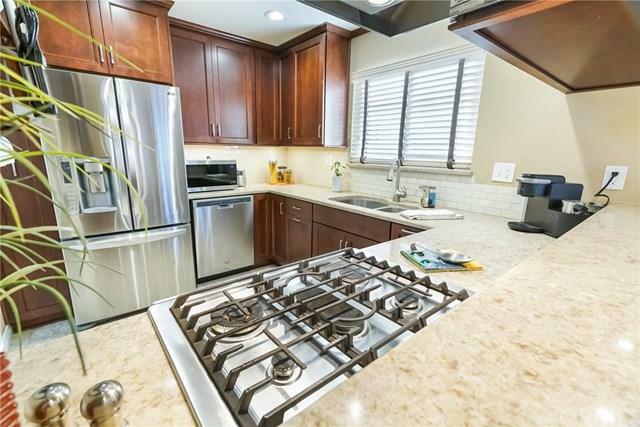 Move right in to this TURNKEY Townhouse-Style Single Family Home in the popular Fountain Plaza community. 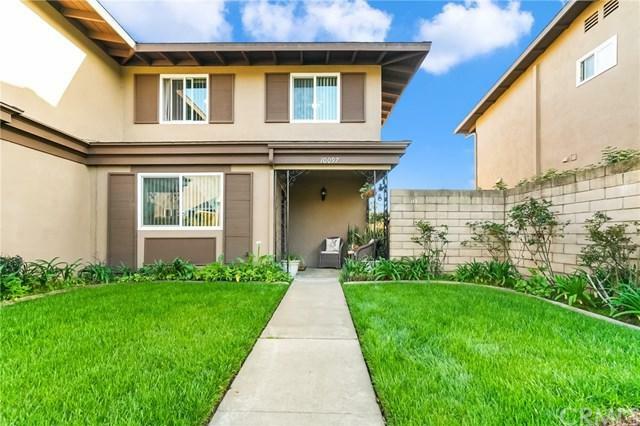 With only one way in, this community offers privacy as well as fun amenities like a refreshing Pool plus a shallow Wading Pool, a Club Room, and an easily accessible Playground/Tot Lot. The home itself is lovely. 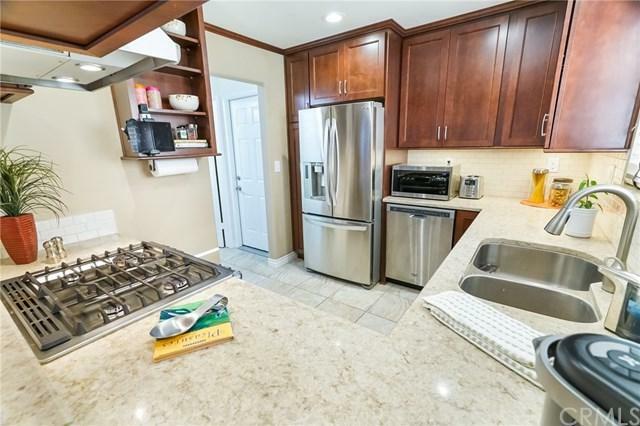 This END UNIT model has a beautiful view of the greenbelt, and has been recently updated with designer paint, new carpet, refinished/ remodeled baths, new light fixtures and more. The ADDED HVAC system is 4 yrs new, Water Heater 6 yrs new+ there's a Hot Water Circulator Full Copper Plumbing AND Double Paned Windows! (Over $75K worth of upgrades!) All 4 bedrooms and one recently updated full bath are upstairs, with an updated 3/4 bath downstairs. 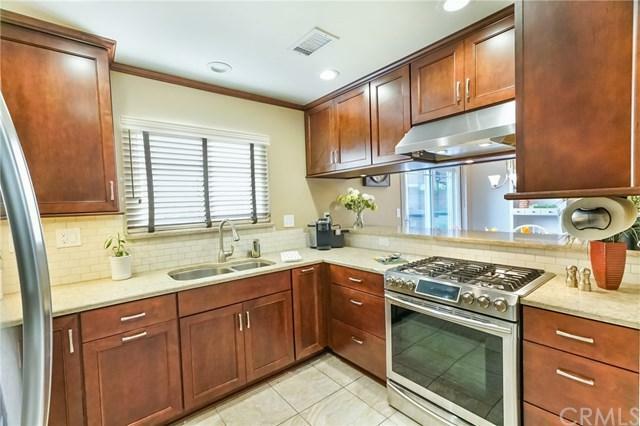 Kitchen was recently remodeled with quartz counters, subway tile back splash, self-closing drawers, recessed lighting, under-counter lighting, stainless appliances and custom cabinets, including extra storage cabinets on the dining room side. Crown molding accents the DR and kitchen. Attached two car garage with lots of overhead storage and work area. Dues are only $275/mo. Home is conveniently located 3.5 miles from the beach, and across the street from shopping, dining, 24-Hr Fitness. Nearby Ellis Park and popular Mile Sq Park. Easy access to river bike trail that leads to the beach. And did you know Fountain Valley has highly rated schools? THIS UNIT HAS IT ALL! Listing provided courtesy of Anne Marie Reggie of Keller Williams Coastal Prop.